I also love food, and the “dining experience”, and to me, there is nothing better than a great meal paired with the perfect wine. “We are obsessed with mind/body/bio-hacking for optimal health and lifestyle. We had hacked about everything else, or studied someone who had. But no one had hacked wine for life optimization. It was a natural extension for us to figure out how to optimize drinking for the highest pleasure. We wanted to quantify the experience. As we are obsessive self quantifiers and soulful wine lovers, it was the perfect opportunity for us to serve, contribute and make a difference in the lives of others. Because we want to make sure our wines meet very specific criteria for our own nutrition and diet programs (Our Dry Farm Wine founders are Ketogenic, Cyclical Ketogenic and one of us is Low/Slow Carb), we are very specific and rigorous in how we quantify and analyze our wines for optimal body and mind enjoyment. All of our wines are scrutinized and investigated carefully to meet our exact and specific standards, including lab analysis by a certified enologist. First, a wine must be soulful and delicious and then it must meet our purity standards. Because we are mind/body health optimizers; we are also anti-sugar. We believe sugar is public health enemy #1. In our view and the view of the modern nutritional science world, sugar is the leading cause of most modern chronic diseases, including the explosion of metabolic diseases (there are 90 million pre-diabetics in the U.S.). Simply, sugar has no place in health/life optimization. Our wines are lab tested for fructose and glucose, the two sugars found in wine. All of our wines are <1g/L of total sugars, statistically sugar free. These low/no sugars are naturally occurring, nothing added or taken away. Ethyl alcohol is carb free. Carbs in wine come from the sugar content, as our wines are statistically sugar free, they are also statistically carb free. All of our wines are tested for the mycotoxin Ochratoxin A. All of our wines meet the E.U. standard for screening at less the 2 parts per billion of OCA. There is no standard or testing of U.S. Wines for OCA. OCA is a known carcinogenic. To give you a reference point, OCA in coffee is allowed in the E.U. up to 10 parts per billion. Wines can range in alcohol from 7–24% alcohol by volume. However, alcohol on the label is not required by the US Government to be accurate. It is simply “stated” and there is zero U.S. enforcement for accuracy. We test every wine to verify it is at or below what is stated on the label and our wines do not exceed a naturally occurring 12.5% alcohol. We do not select wines that have been processed with artificial alcohol reduction techniques. 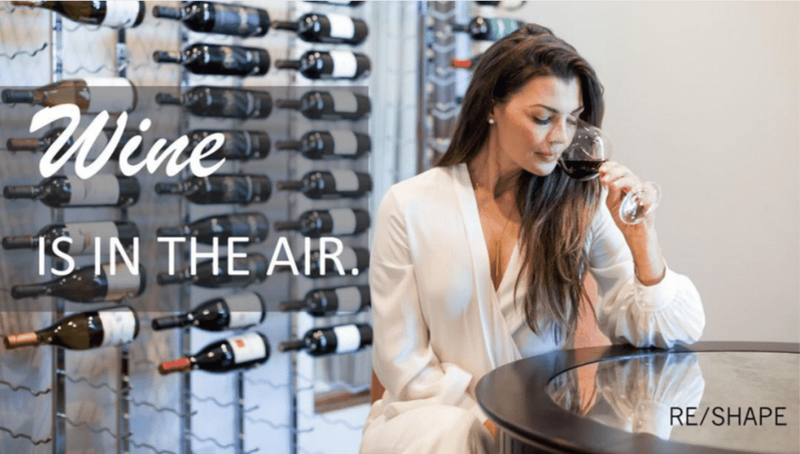 The US government restricts added sulfites in wine to 350 ppm (parts per million). For now, we have created a standard not to exceed 75 ppm in our wines and most of the wines we represent are below 50 ppm. Like many practices in the wine world, added S02, (sulfites) is a source of some controversy. Here is all we know for sure... all wines contain some sulfites, as they are naturally occurring. Winemakers often add S02 to a wine as a preservative, meant to stabilize and preserve the wine. Whether added sulfites affect how you feel (actual allergies are quite rare) from drinking is also a matter of considerable debate. The debate also continues as to whether added S02 punches some of the life and taste out of wine, as it is a sterilizer. We generally feel that wines that are lower in sulfites, are more alive and real, with more vivid soul and personality. Here is where we are...most of the wines in our collection of natural and organic wines have no added S02 or very minimally added to stabilize preservation. We prefer to drink wines that are low, generally below 50 ppm. We suggest that you experiment with different wines to see how sulfites affect your taste and body; we publish S02 levels on each wine from our lab. We do not select wines for our collection that exceed 75 ppm. Our wines are completely friendly to Paleo, Low/Slow Carb, Sugar Free, Carb Free and Ketogenic Nutritional programs. If you'd like to send this wine as a gift, go here.